One of my all-time favorite foods is a good submarine sandwich from a genuine delicatessen. I think this fondness began back when I was a teenager and became a regular at Little John’s Deli on “The Corner” near the University of Virginia in Charlottesville. Unfortunately, the proliferation over the years of chain restaurants like Subway and Quiznos has resulted in good subs being even harder to come by. Not only are there fewer places that serve truly good submarine sandwiches because they have been driven out of business by the fast food alternatives, but many people’s opinion of what constitutes a good sub has been skewed simply by what has been available and what they have gotten used to. In keeping with my tradition of treating myself to lunch at a local restaurant, and then posting my review of the restaurant on this blog at the end of each month, I am closing out April by reviewing “Mangialardo and Sons Italian Deli” located at 1317 Pennsylvania Avenue in the Capitol Hill neighborhood of southeast D.C. (MAP). I recently discovered Mangialardo’s while I was out for a ride, and it now rates at the top of my all-time list of great joints for this type of sandwich. I’m certainly not the first to discover it, considering the fact that people were eating there since before I was born, but it was new to me. So regardless of whether you call them hoagies, heros, grinders, torpedos, bombers, or subs, you should try one at Mangialardo’s. One of a dying breed in the D.C. area, Mangialardo’s is a true multi-generational mom-and-pop eatery that has been serving the same neighborhood for more than a half-century. Opened in 1953 by Antonio and Anna Mangialardo as a grocery store and delicatessen, it had begun to focus more on subs by the late ’60s. Today, the cash-only carryout is owned by Antonio and Anna’s grandson, Tony (who was there running things when I was there), and is still selling cold-cut and oven-toasted subs to a diverse crowd that, in addition to Capitol Hill residents and Federal office workers, includes a large number of police officers, firefighters, garbage workers, mail carriers and other flavors of D.C blue-collar workers. 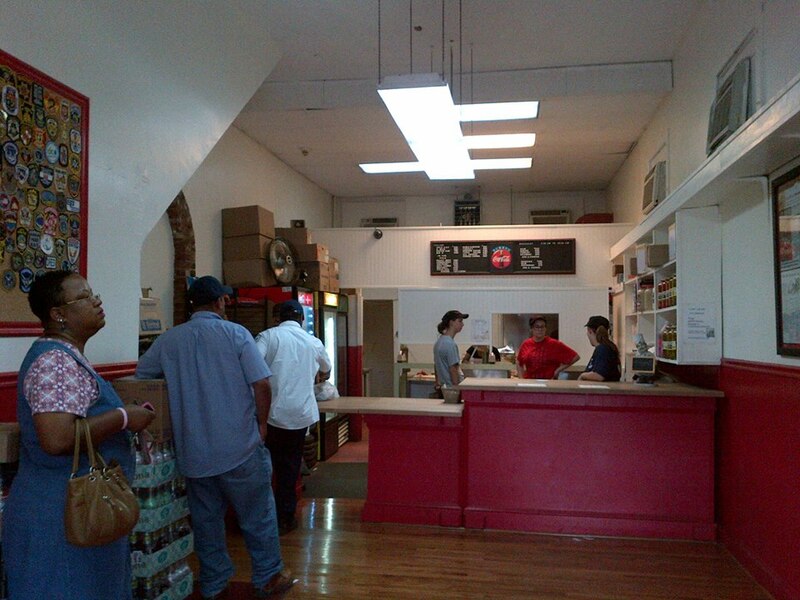 Mangialardo’s is a no-table counter-service carryout that does one thing and does it well: subs. There are more than a dozen on the menu, but the one I had is the option that dominates most orders — the “G Man.” It’s their signature sandwich, and contains a heaping pile of ham, salami, mortadella and pepperoni with provolone and fontina cheese on either a soft or hard roll, which are made by a local area bakery. I chose the soft roll, and topped it off with some lettuce, tomato slices, sweet peppers, and oil and vinegar, for one of the best sandwiches I have had in years. 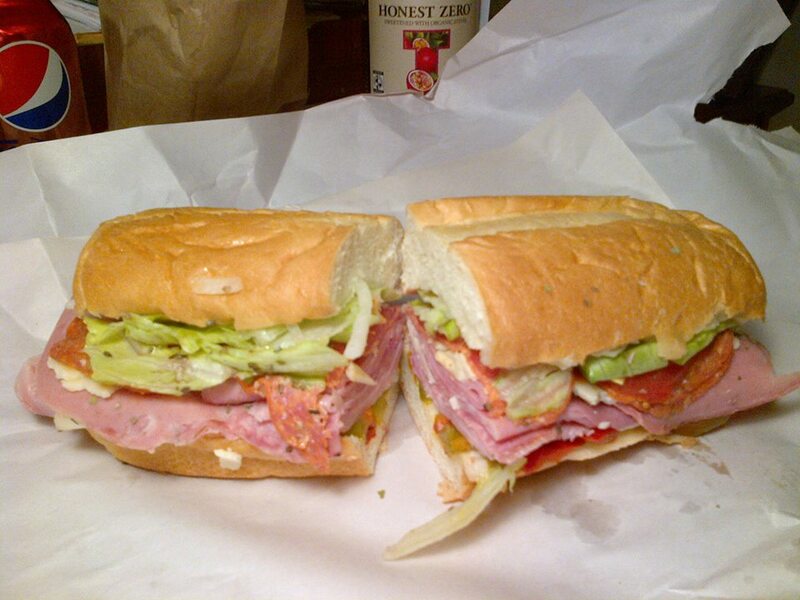 Like many great sandwiches, the “G Man” comes with a back story. 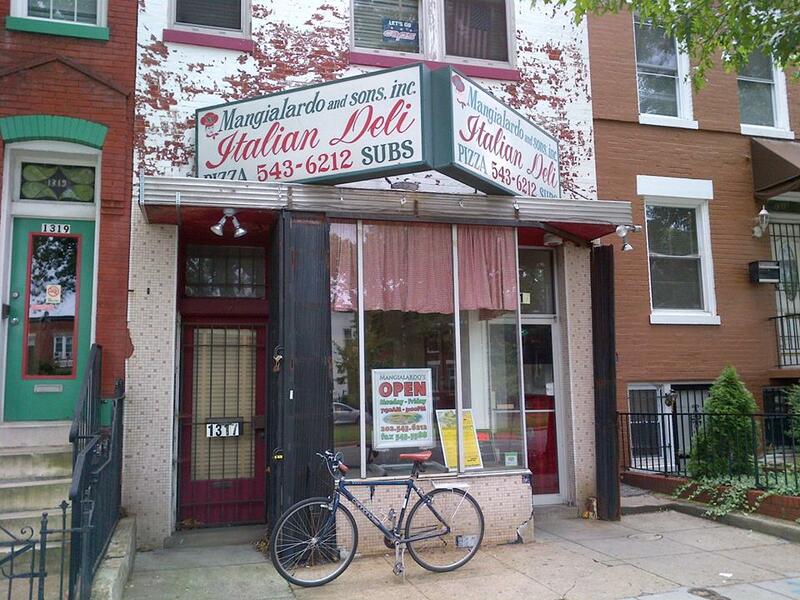 In the early 1970s, a pair of FBI Agents on their way to a Redskins game (at old RFK Stadium just down the street) stopped by the deli for a couple of subs. Tired of the same thing, they asked Antonio to make them something special. “Two days later, a different group of Agents came in and said they wanted ‘that ‘G Man’ sub.” After that, as word had spread through the office, a signature sub was born. 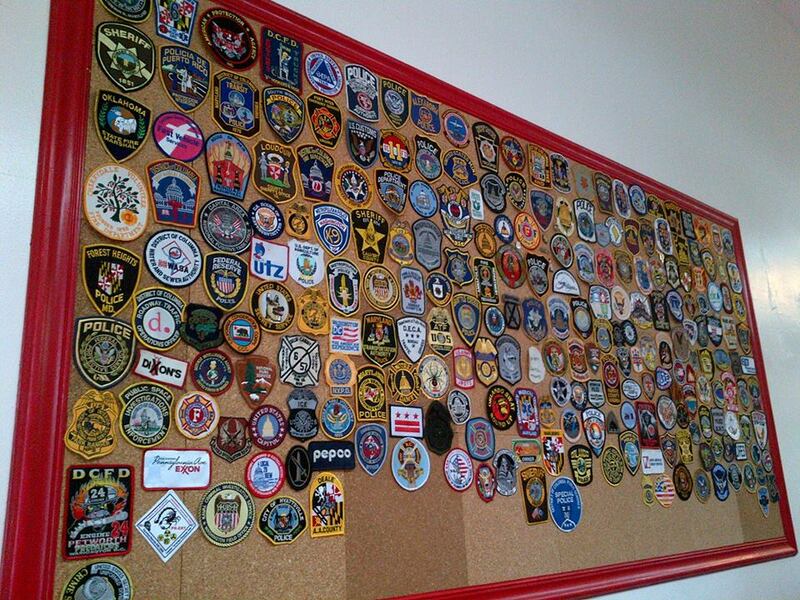 To this day, Mangialardo’s is a haven for law-enforcement and public safety types as attested to by the a pinboard near the pickup counter is covered with duty patches from area police and fire departments. I’ll be going back soon, maybe for breakfast. Mangialardo’s has a selection of breakfast sandwiches available when the doors open at 7:30 am. And, yes: Its most popular sandwich is available then, too. “Hey, it’s never too early for a ‘G’ Man!” says Tony. There are many libraries in the nation’s capitol. 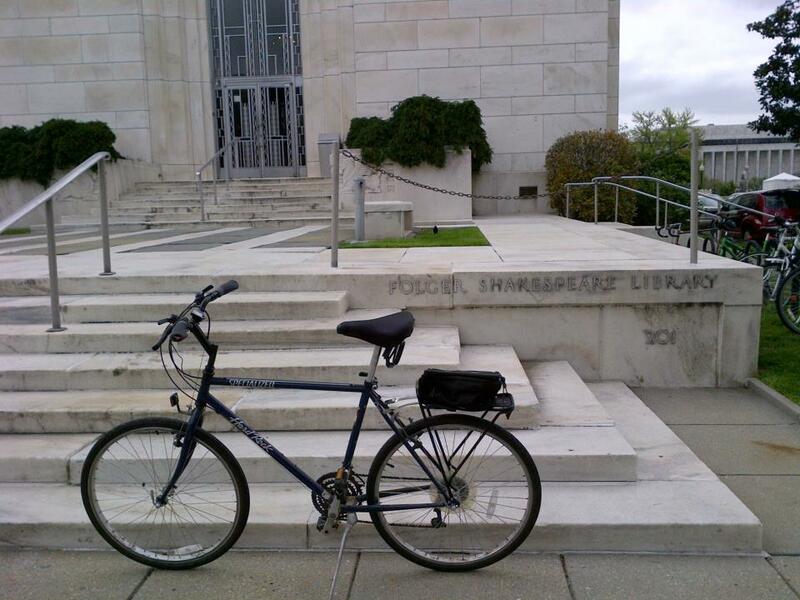 There are municipal libraries, law libraries, and specialty libraries like The Folger Shakespeare Library. The largest library in the world, The Library of Congress, is also located in D.C. But there is one very popular library that has no books, and it is officially named The Floral Library. On a recent bike ride I visited The Floral Library. 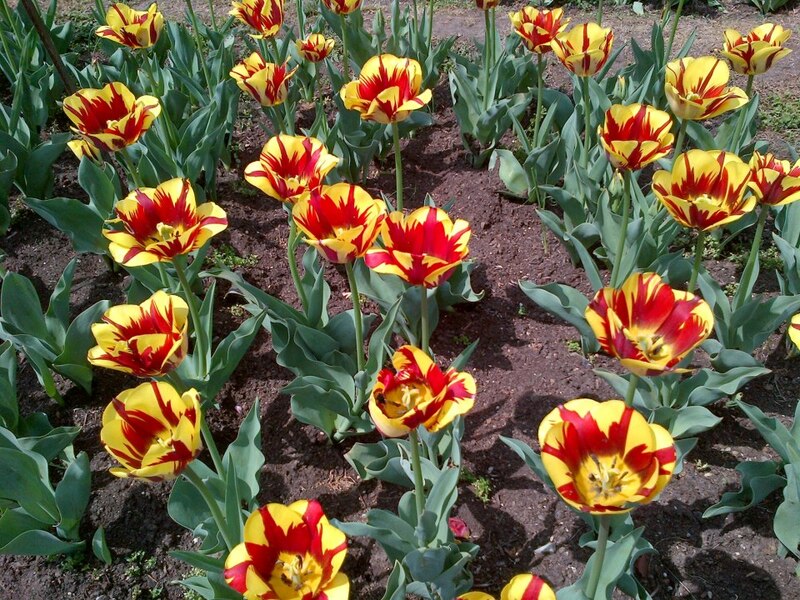 But it is better known during this time of the year as “The Tulip Library” because the entire garden is replanted each spring with over 10,000 tulip bulbs that are flown in from Holland and the Netherlands. Often never known about until accidentally stumbled upon, “The Library” is a secret garden hiding in plain sight. 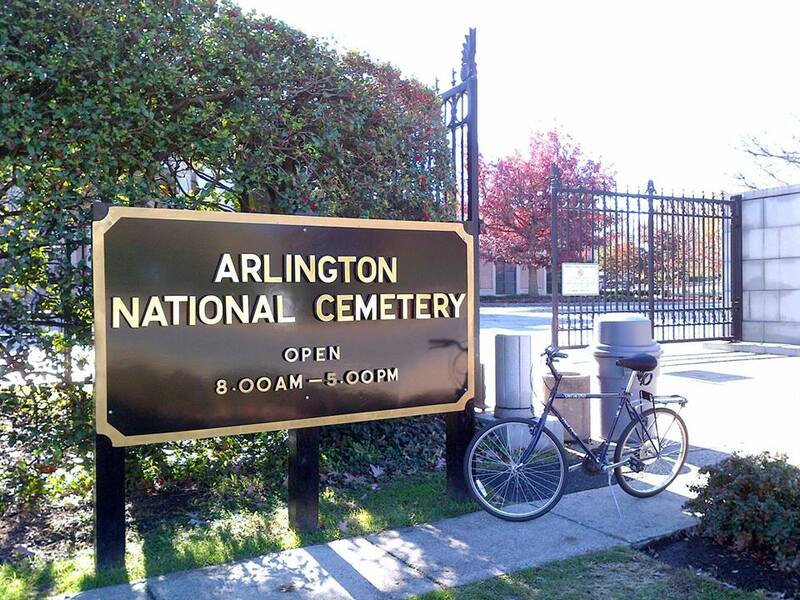 It is located on Independence Avenue in southwest D.C. between The Washington Monument and the Jefferson Memorial just north of the Tidal Basin (MAP). 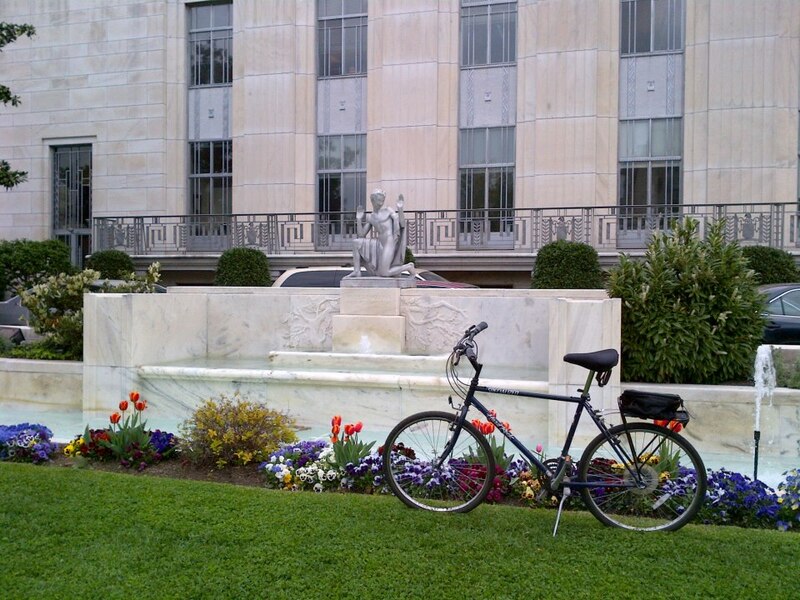 The Library is currently maintained by the National Mall and Memorial Parks Department of the National Park Service. 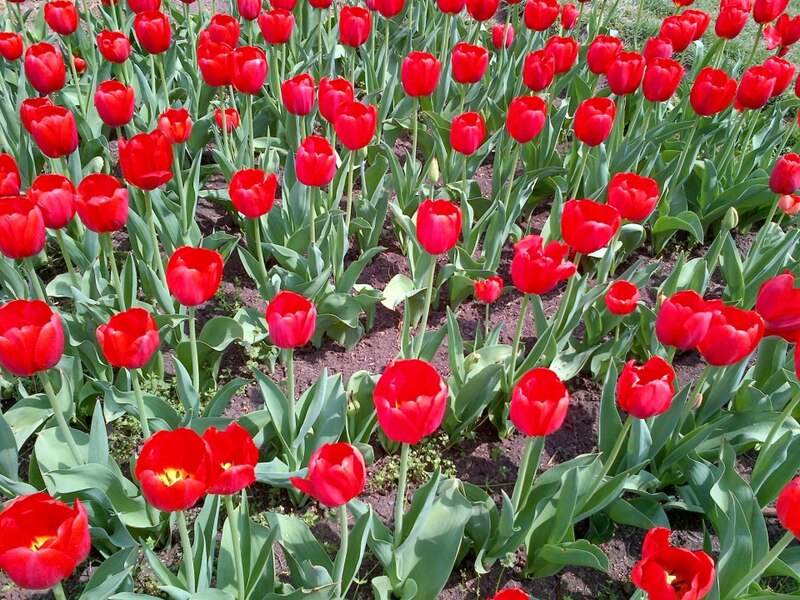 Over the years, The Library has become a popular place to make comparisons of color and shape between different types of tulips planted in individually numbered beds. 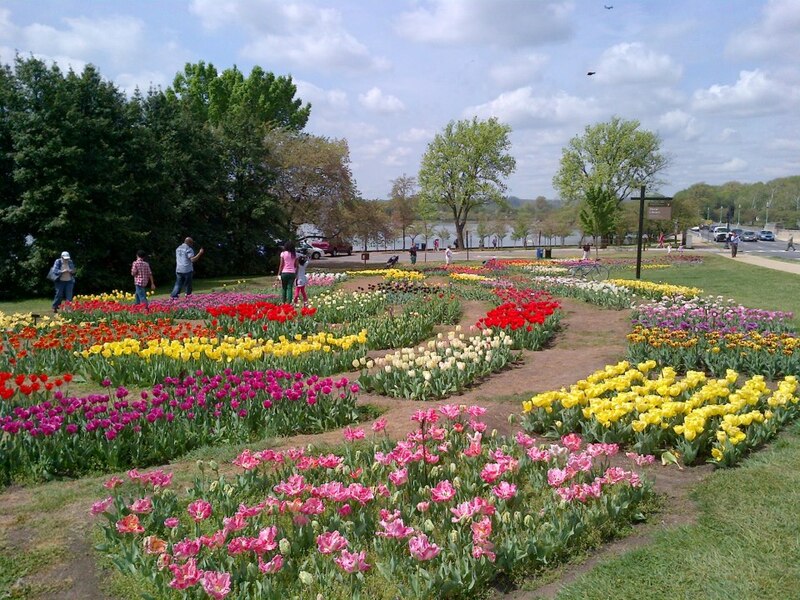 There are separate beds each showcasing one of the 95 varieties of tulips, planted in groups of 100 to 200, that can be seen at The Library. 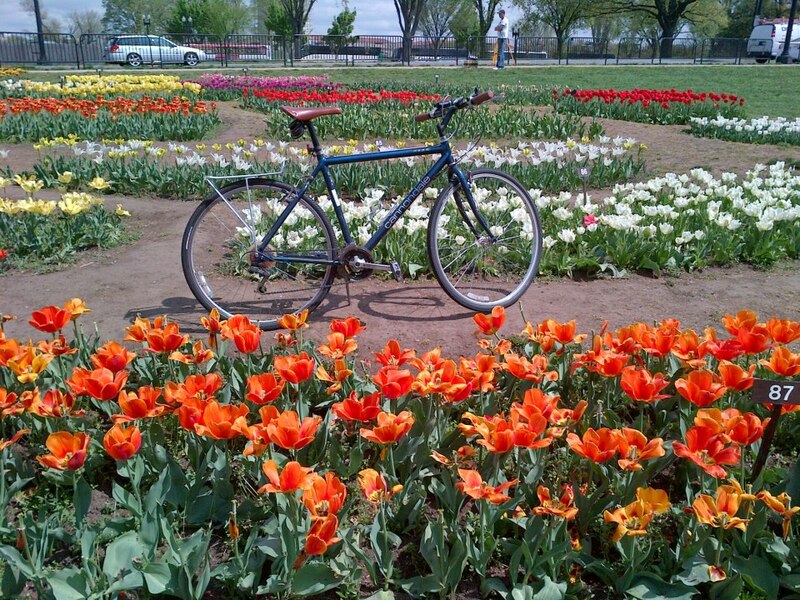 Both professional and amateur photographers alike can be seen taking photographs at The Library, as well as small groups of tourists who cab be found meandering through the rows of tulips and stopping to admire some of the more exotic varieties that they don’t see in their neighbors’ gardens back home. Also, adjacent to The Library is a large, open grassy area perfect for picnics or an afternoon of people-watching. 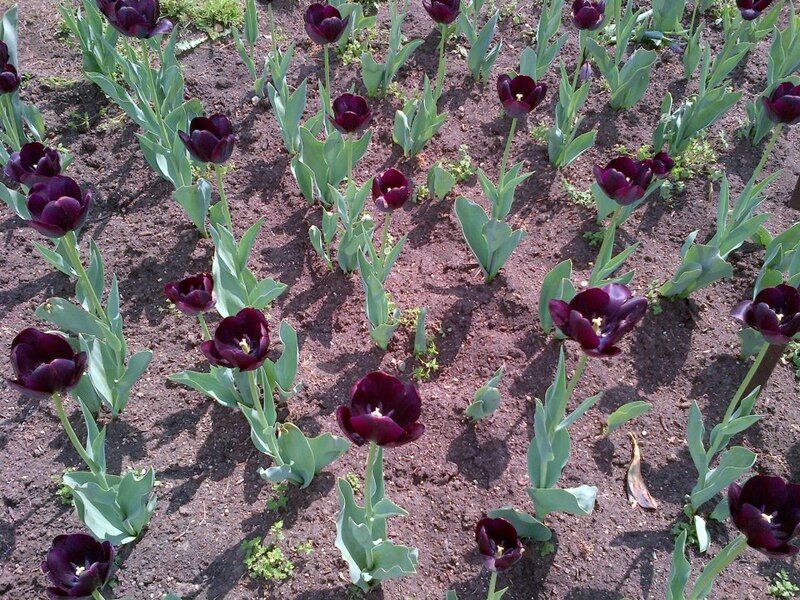 Although they are not as transient as D.C.’s springtime cherry blossoms, the tulips at The Library will be gone shortly. 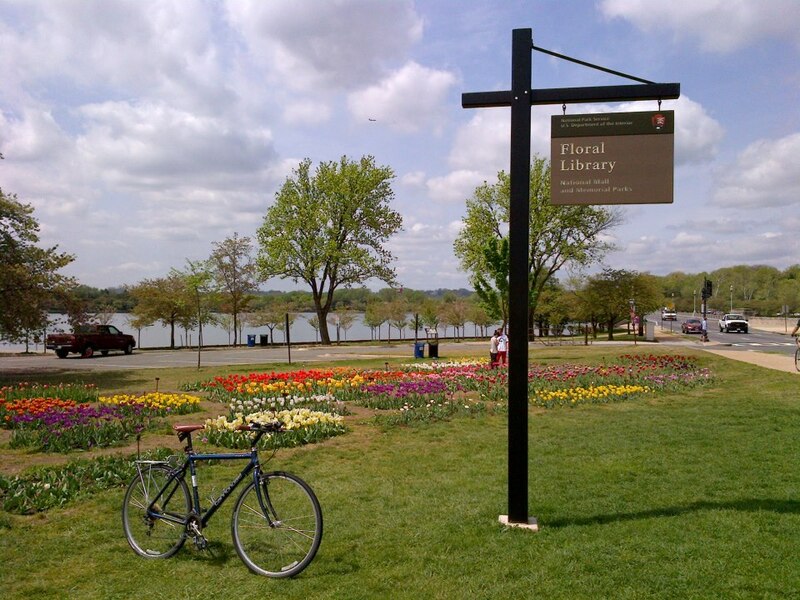 The tulip season in the D.C. area lasts only from early April to the first week of May, so plan to visit The Library soon. And plan to go back again in a few months, because during the summer the library of tulips are replaced with an annual planting of annuals. A third planting of chrysanthemums is available for viewing in the fall of each year. 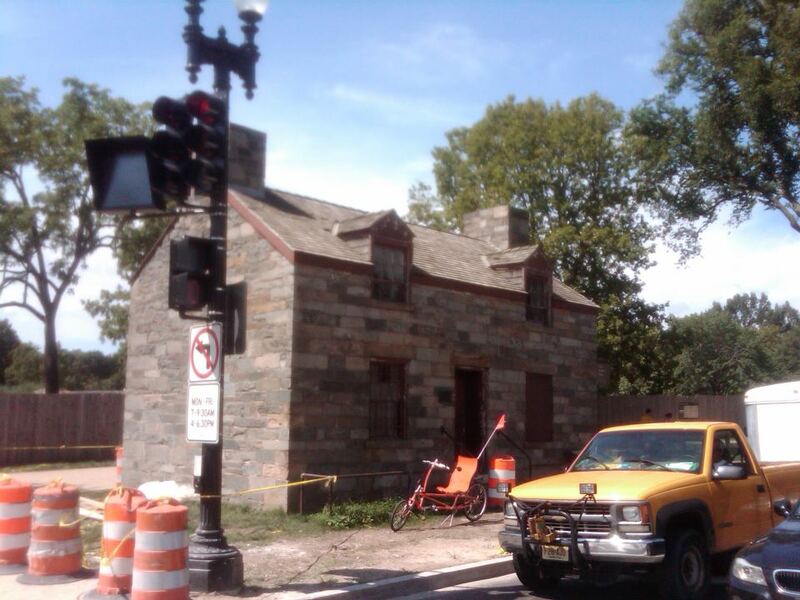 Down the street from the National World War II Memorial and in the shadow of The Washington Monument stands a small stone house. 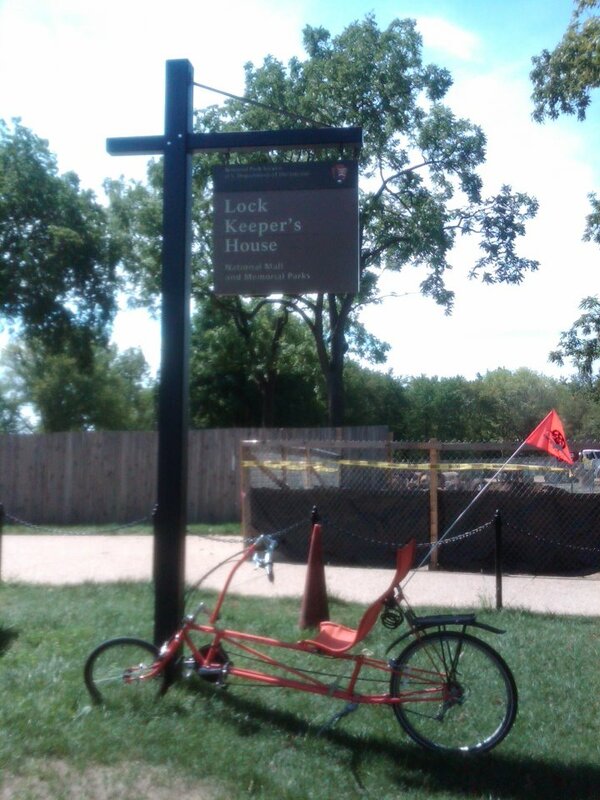 Located on the National Mall at the corner of 17th Street and Constitution Avenue (MAP), the Lock Keeper’s House is listed on the National Register of Historic Places, yet is often overlooked despite being centrally located and very accessiblr. Many years ago, the downtown area of the Capitol city had a series of canals. The original plan for D.C. included a system of waterways to transport heavy goods at a time when roads and streets were few and muddy. The first, the Washington City Canal, was opened in 1815. Construction began in 1828 on the Chesapeake and Ohio (C&O) Canal, to connect D.C. to the fertile Ohio Valley. The Washington Branch of the C&O Canal, built by 1833, joined the two waterways and opened the city to commerce. However, the Canal ventures proved to be an expensive investment. The Washington Branch of the C&O Canal and the Washington City Canal carried so little commerce that they were abandoned 30 years after construction when railroads, not canals, dominated transportation in the nineteenth century. In the 1870s the long process of filling these canals began. What is left of the western branch of the C & O Canal way is now maintained as part of the Chesapeake and Ohio Canal National Historical Park, with a linear trail following the old towpath. 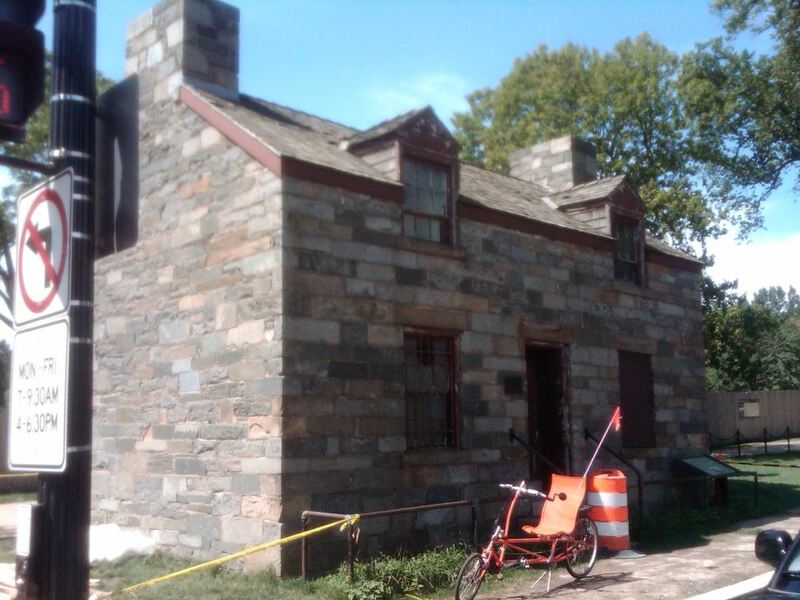 On a recent bike ride I went by some of the remaining vestiges of that time, including the Lock Keeper’s House . It is the only remnant of the D.C. branch of the C & O Canal. The building was constructed as the house for the lock keeper of the Canal, who collected the tolls and kept records of commerce on the canal. The house was abandoned in 1855. It has had a varied history since then. 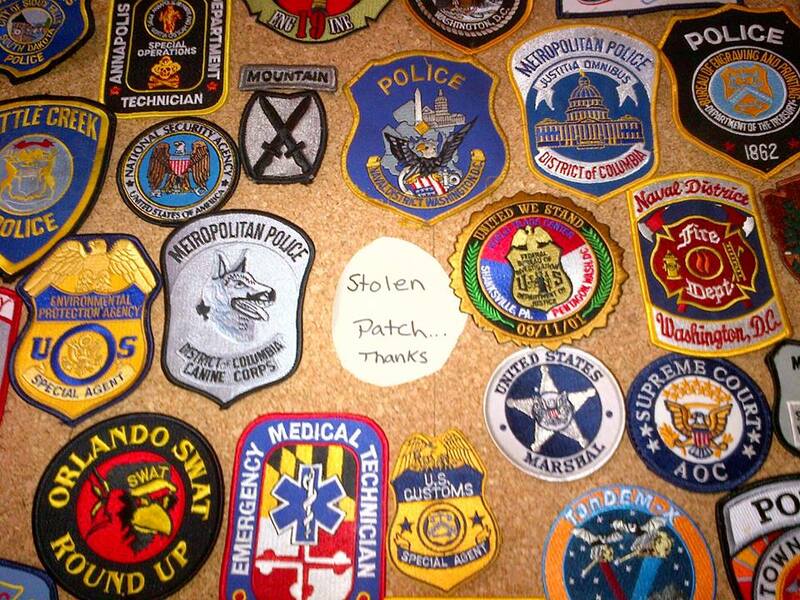 After falling into disrepair, the building was partially renovated in 1903, and used as Park Police headquarters. In 1940, the first floor of the building was used as rest rooms. 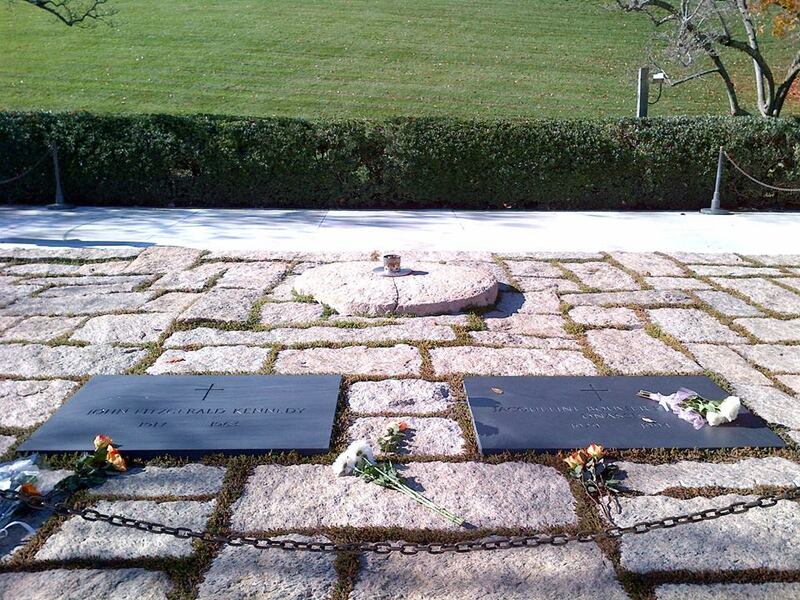 The interior was subsequently closed to the public and remains closed at this time. But the exterior is certainly worth a visit. Today is the 450th anniversary of William Shakespeare’s birth, or at least the day that is traditionally observed as his birthday. It is also the 398th anniversary of the day he died in 1616, at the age of exactly 52. An English poet and playwright, he is widely regarded as the greatest writer in the English language and the world’s pre-eminent dramatist. But I also think it would be fair to say that he has a reputation as the bane of every schoolchild’s life, and that the average man on the street these days would not understand the language of Shakespeare’s writings. While it can be difficult at times to decipher the flowery poetry and metaphors, it can be equally difficult to understand his vast vocabulary. Many of the words he used are now obsolete and not understood by people in the modern era. But many of the other words he used we understand, but were not initially understood by the people of his time. This is because when he got stuck trying to think of a word he would often just make up one up. It’s kind of like what rappers do today, except many of the words and phrases Shakespeare made up got embedded into our culture and have formed the cornerstone of our discourse, rather than being obnoxious and forgotten as soon as the song’s popularity fades. 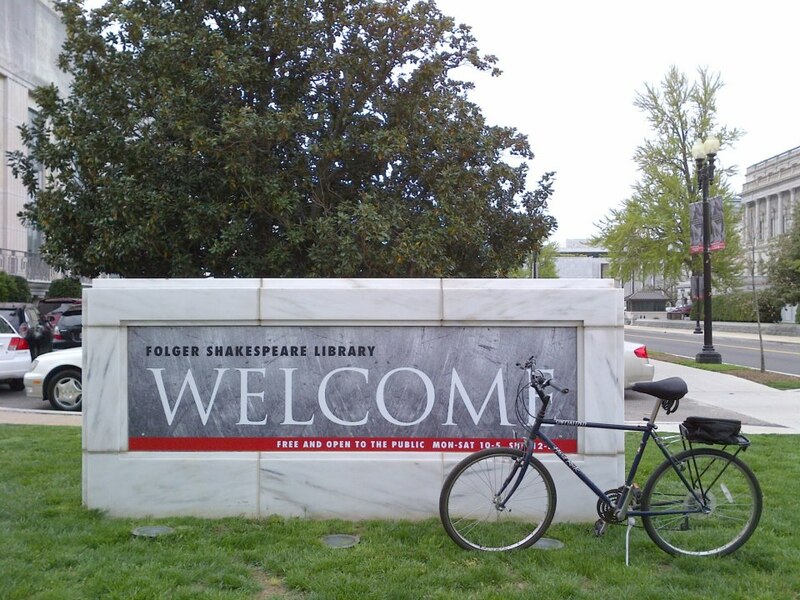 In recognition of the anniversary of Shakespeare’s birth and death, as well as his numerous contributions to the English language, on a recent bike ride I went to the Folger Shakespeare Library, located in southeast D.C. at 201 East Capitol Street on Capitol Hill (MAP). 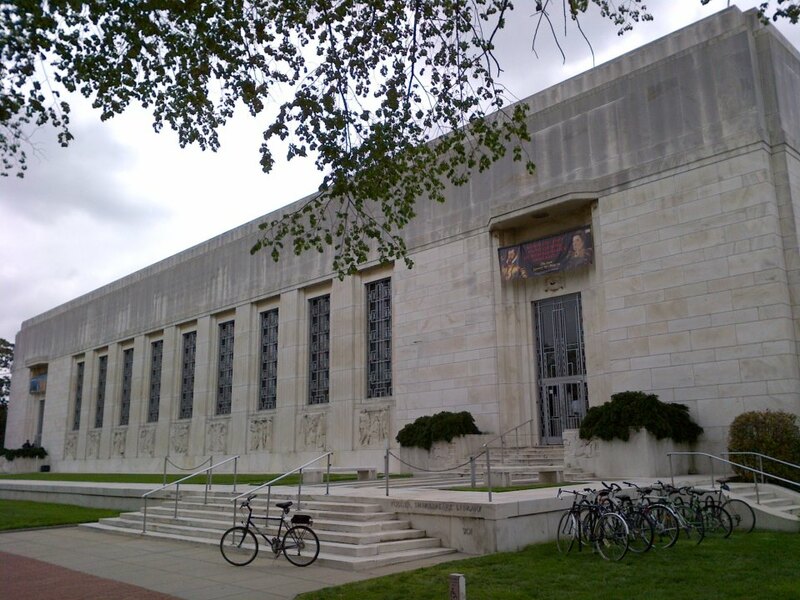 The Library is a world-renowned research center and is home to the world’s largest and finest collection of Shakespeare materials and to major collections of other rare Renaissance books, manuscripts, and works of art. It serves a wide audience of researchers, visitors, teachers, students, families, and theater- and concert-goers. 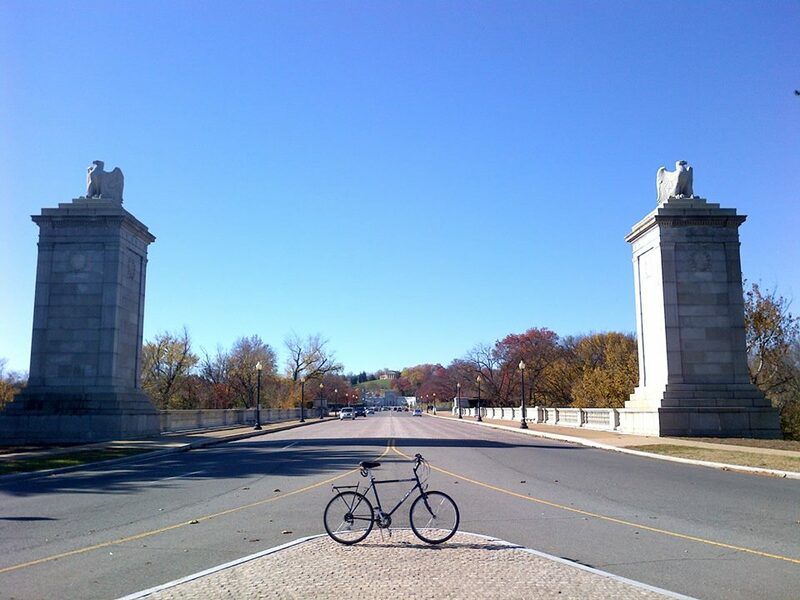 You just never know what you’re going to run across when you’re riding a bike around D.C. Because it is such a unique city, there are opportunities to see so much. 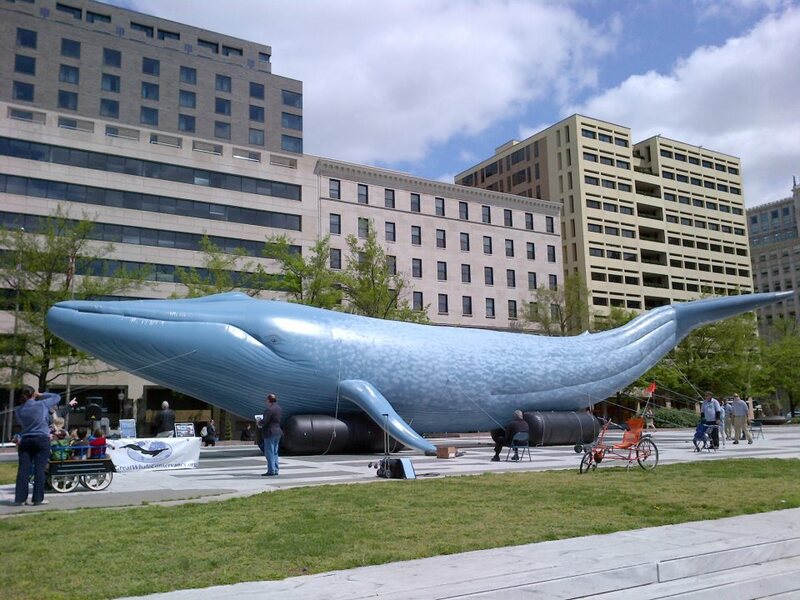 In addition to the monuments and museums and other fixtures, our national’s capitol also offers events that are unique to the city as well. 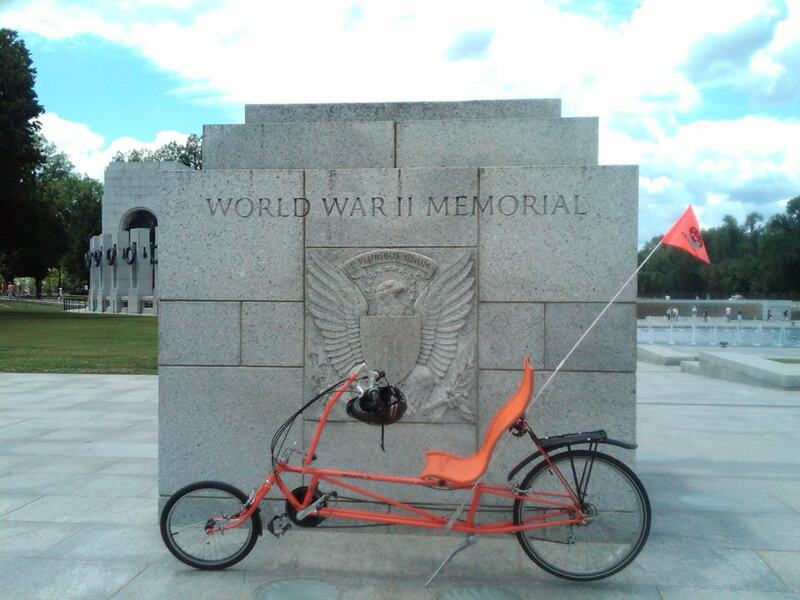 One such unique event occurred recently as I was riding past the National World War II Memorial. As I was riding near the memoriaI I noticed the arrival of a busload of World War II veterans, who were brought to see their memorial by the Honor Flight Network. 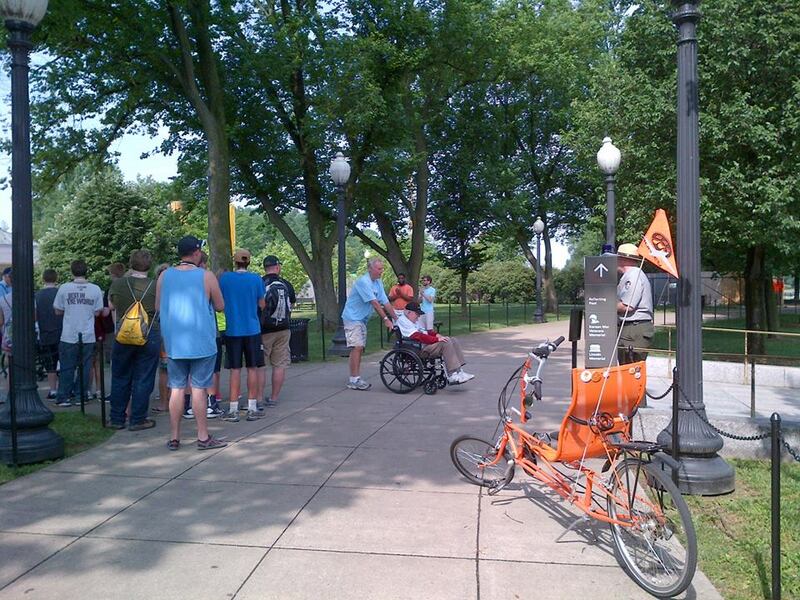 Founded as a non-profit organization and created solely to honor America’s veterans for all their sacrifices, the Honor Flight Network transports our military heroes to D.C. to visit and reflect at their memorials. 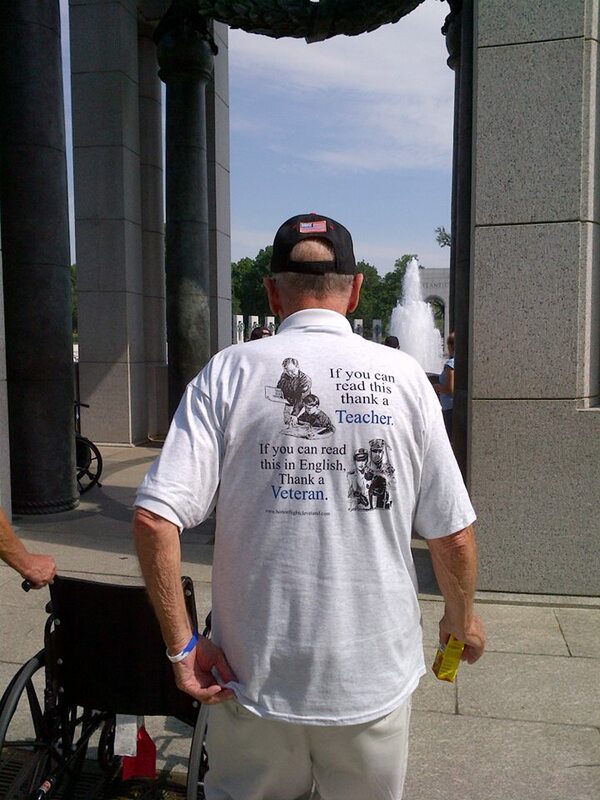 Top priority is given to the senior veterans – World War II survivors, along with those other veterans who may be terminally ill.
As the veterans departed the bus this morning and entered the World War II Memorial, many in wheelchairs, the other visitors to the Memorial, myself included, cleared a path. We then stood on the side of the walkway and applauded in an impromptu ceremony as the veterans made their way into the Memorial. It was an inspiring and moving moment. 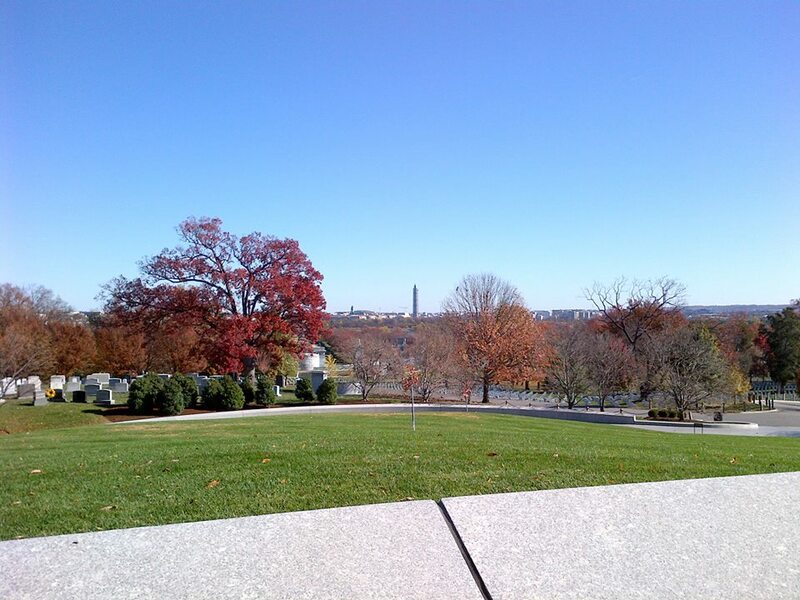 There are a number of historic cemeteries in D.C. that serve as the final resting place for many historic and public figures. 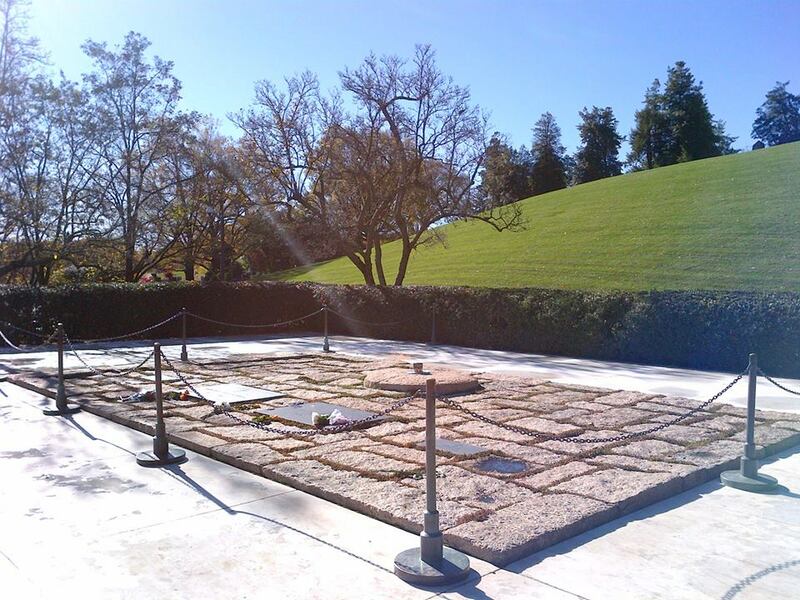 From Presidents to celebrities, there are a variety of gravesites that are worth both learning about and visiting. 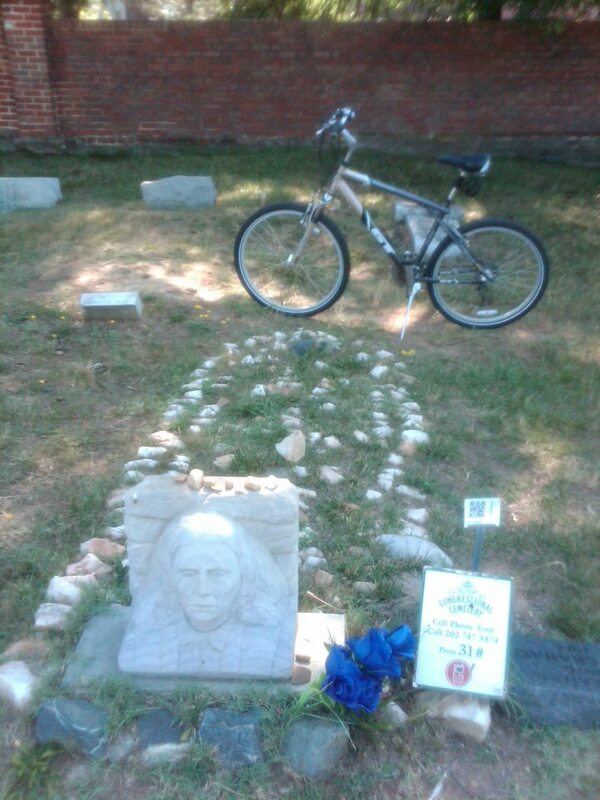 One of the more obscure and unusual examples is the grave for Chief Taza at Historic Congressional Cemetery, located at located at 1801 E Street (MAP). Taza was the eldest son of Cochise and his principal wife Dos-teh-seh, which translated means, “Something-at-the-campfire-already-cooked”. He was also the older full brother of Naiche, and had two half-sisters named Dash-den-zhoos and Naithlotonz. Upon his father’s death in 1874, Taza succeeded to the leadership of the Chiricahua Apaches . Two years later, in and attempted to honor the peace agreement his father had entered into with the U.S. Army, he agreed to relocate his people from the Chiricahua Reservation at Apache Pass, Arizona, to the San Carlos Reservation in Eastern Arizona. In the summer of 1876, Taza joined the Apache delegation to D.C., to sue for peace. However, he could not unite the various Apache bands under his leadership as Cochise had done. 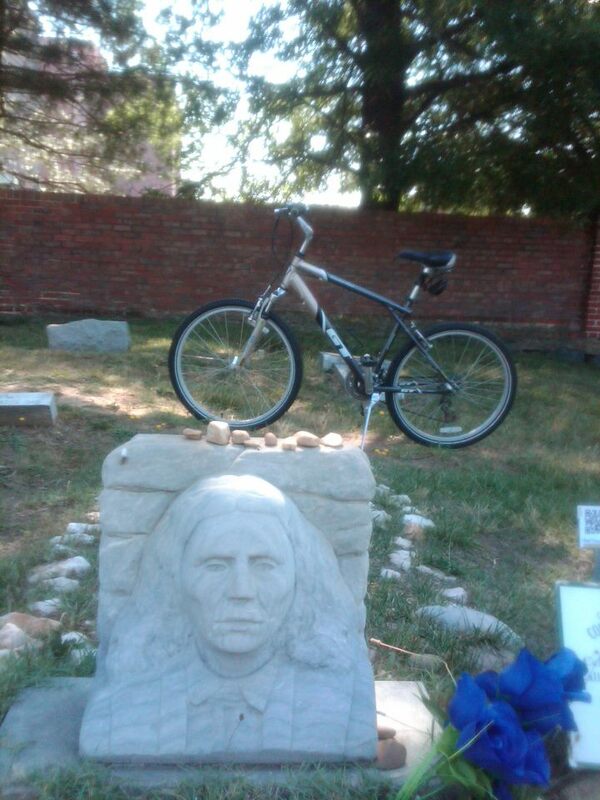 During this trip, Taza fell ill and succumbed to pneumonia on September 26, 1876, after only about two years as chief. There followed, almost inevitably, rumors that he had been poisoned. Consequently, his brother Naiche not only became chief of the Chiricahua Apaches, but much more militant as well. Chief Naiche also resisted relocation to the San Carlos Apache Reservation. He joined together with Geronimo, chief of the Bedonkohe Apaches, and crossed the Mexican border into the Sierra Madre mountains with Geronimo’s band. While Naiche was certainly the hereditary chief of the Chiricahua Apaches at that time, it appears that Geronimo was viewed as the great leader and probably persuaded Naiche, the younger man, to submit to his leadership. Together they and their followers continued fighting, and became the last American Indian fighting force formally to capitulate to the United States government. Geronimo died a prisoner of war, while Naiche, as well as his mother Dos-teh-seh, and sisters Dash-den-zhoos and Naithlotonz, lived through the prisoner-of-war period. Daniel Webster was a U.S. statesman who had a lengthy career in Congress and the Federal government, one which would be absolutely impossible in today’s political climate. He was elected and served as both a Congressman and Senator from three different political parties representing two different states. 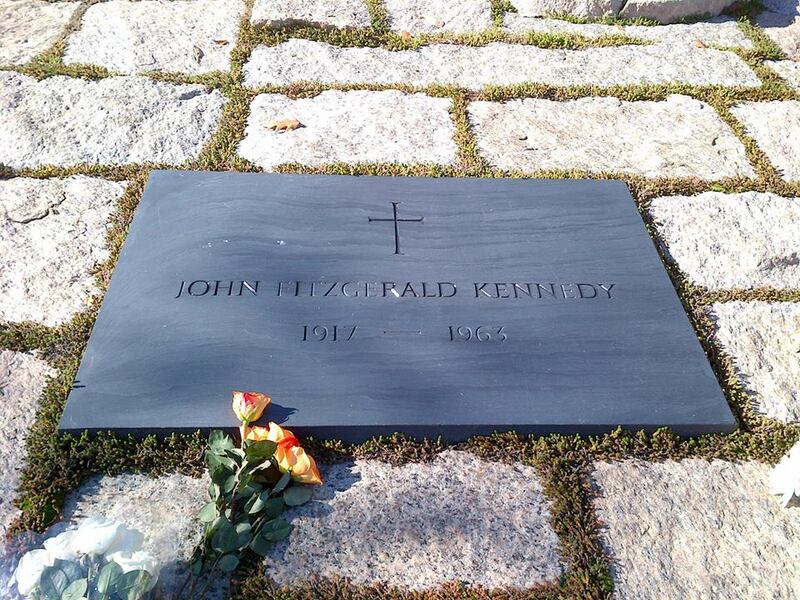 He was also appointed Secretary of State by three separate Presidents from two different political parties. He was originally elected in 1813 as a Federalist from New Hampshire to the Thirteenth, and then the Fourteenth Congresses. After not running for election, he moved to Massachusetts to practice law. Years later, he again ran for Congress and was elected to represent Massachusetts to the Eighteenth, Nineteenth, and Twentieth Congresses. He the ran as a member of the Adams Party, later referred to as Anti-Jacksonian, and was elected to the U.S. Senate in 1827. He was reelected to the Senate as a Whig in 1833 and 1839, and served until his resignation, effective in 1841. Despite an unsuccessful run as the Whig candidate for President in 1836, as a leader of his party, he was one of the nation’s most prominent conservatives of his time. He was appointed Secretary of State by President William Henry Harrison and again by President John Tyler. Again elected as a Whig to the U.S. Senate from 1845 to 1850, he resigned to again be appointed Secretary of State by President Millard Fillmore, a position in which he served until his death in 1852. 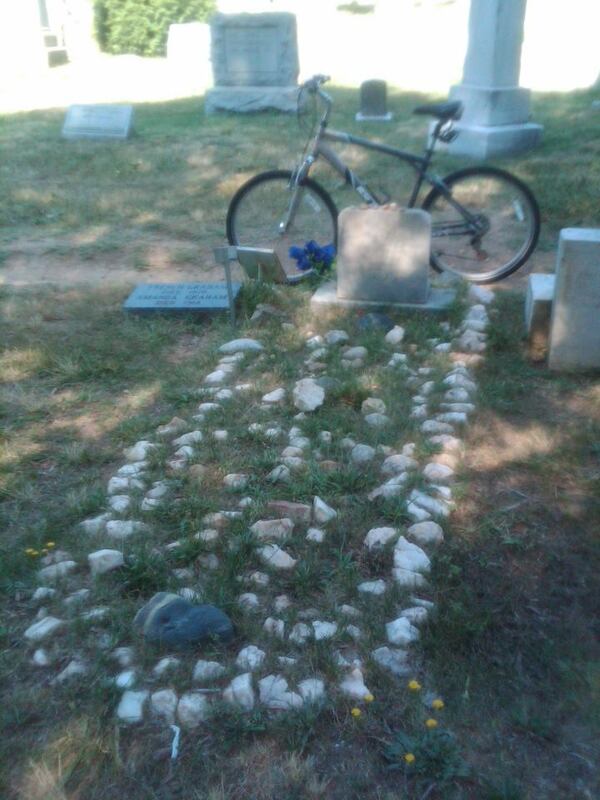 Among the many memorials in D.C. is one to honor Webster. 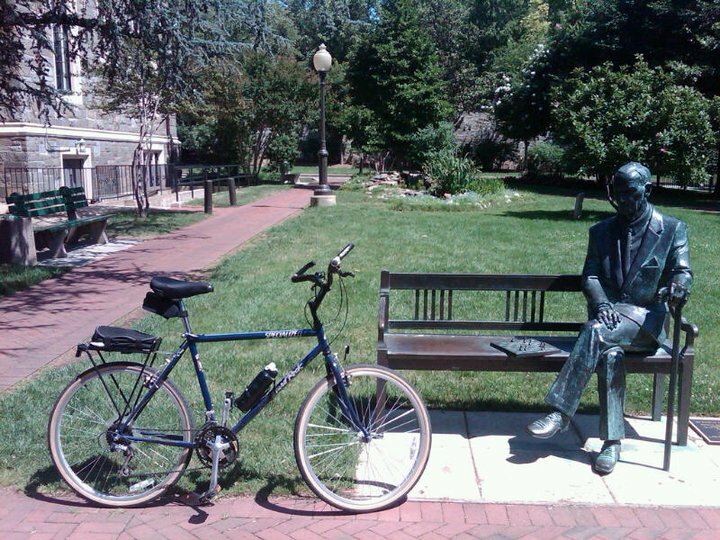 The statue is located near Webster’s former home at 1603 Massachusetts Avenue in northwest D.C., beside Scott Circle at the intersection of Massachusetts Avenue and Rhode Island Avenue (MAP). The Daniel Webster Memorial consists of a 12-foot bronze statue of Webster on an 18-foot granite pedestal in a sober classical style. The statue of Webster was given to the United States government by Stilson Hutchins, founder of the Washington Post and, like Webster, a fellow native of New Hampshire. An Act of Congress on July 1, 1898 authorized its erection on public grounds and appropriated $4,000 for a pedestal. 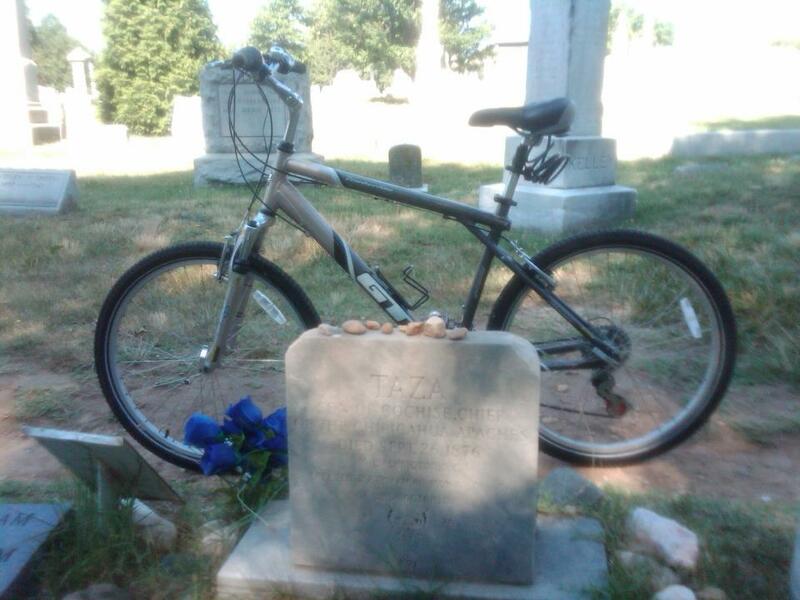 The memorial was dedicated on January 19, 1900. 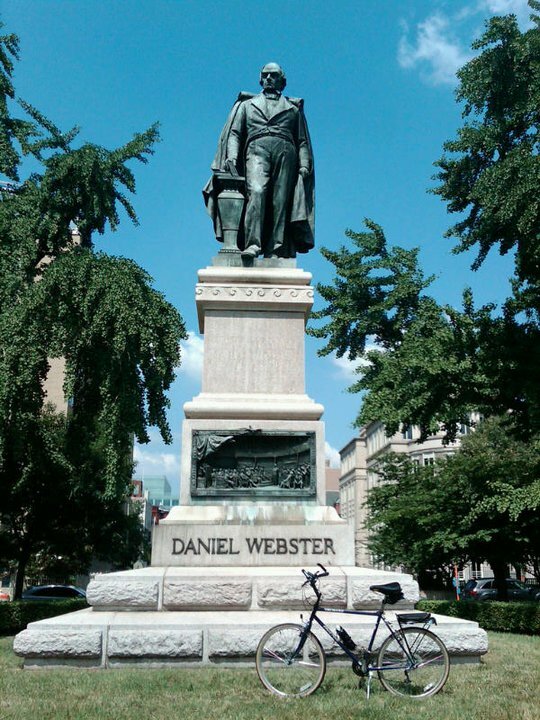 On October 12, 2007, the Daniel Webster Memorial was placed on the National Register of Historic Places.